ALATRADUZ – Ana´s Words: HAPPY NATIONAL DICTIONARY DAY! October 16th marks the day of honor for Noah Webster, the creator of the American dictionary. 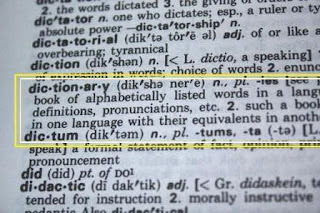 Happy “National Dictionary Day” to all of you! Yeah, that’s right. 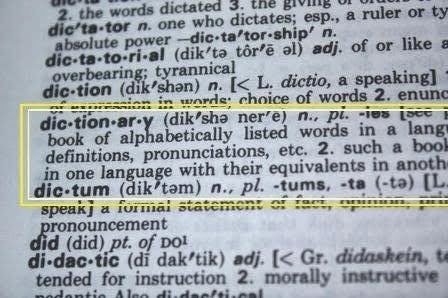 Today is National Dictionary Day – our best friend. 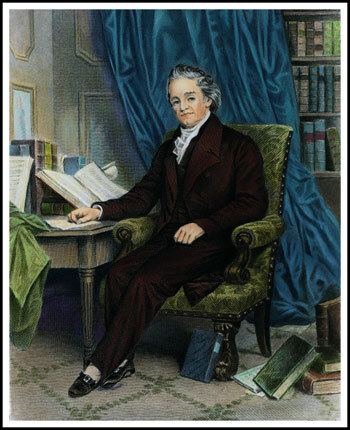 Today, October 16th, marks the day of Noah Webster’s birth in 1758. Who’s Noah Webster, you might ask? Well, after he graduated from Yale in 1778, he became a teacher. It bothered him that American students were using books that came from England, most of which pledged their loyalty to King George. So, in 1783 he published a book called A Grammatical Institute of the English Language. This book taught students how to read, spell, and pronounce words. It became the most popular American book of its time selling nearly 100 million copies. In 1828, when Webster was 70 years old, he finished writing his American Dictionary of the English Language. It contained definitions for over 65,000 words. Show your appreciation for this most useful of reference books by celebrating Dictionary Day with your children, family and friends – learn some new words, learn how dictionaries came to be, spruce up your dictionary skills, or even create your own dictionary!